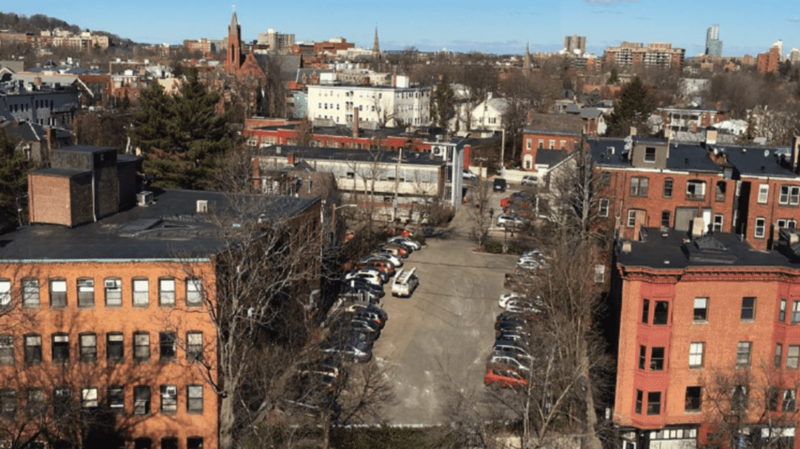 BRIGHTON, MA — B’nai B’rith Housing (BBH) and Hebrew SeniorLife (HSL) recently came together to respond to the Town of Brookline’s Request for Information for the potential redevelopment of the Kent/Station Street Municipal Parking Lot. B’nai B’rith Housing is a Massachusetts nonprofit whose mission is to produce affordable, non-sectarian housing to ease the housing crisis in the Greater Boston area. Founded in 1903, Hebrew SeniorLife is a nonprofit, non-sectarian organization that provides housing and health care for seniors, educates geriatric care providers, and in conjunction with Harvard Medical School, does research on aging. Together, BBH and HSL represent a uniquely qualified team with extensive experience in real estate development, construction, and management as well as a shared commitment to providing service-enriched housing of the highest quality to residents regardless of their race, religion, or socio-economic status. BBH and HSL are excited about the opportunity to partner with the Town of Brookline on this potential redevelopment, which would complement the service-enriched housing that B’nai B’rith Housing has created in Boston, and Sudbury, and the work that Hebrew SeniorLife has done across its portfolio, including the Center Communities of Brookline. According to projections from the Donahue Institute at UMass Amherst, the number of adults over the age of 55 in the Town of Brookline is expected to increase 36% by 2035, which will make this age group nearly a third of Brookline’s adult population. In an effort to meet the needs of the growing senior population, Brookline has joined the World Health Organization’s (WHO) network of Age-Friendly Cities and Communities, and is actively seeking to increase the supply of senior-friendly housing and foster an age-friendly community. “We commend the Town of Brookline for making housing a priority and we are excited by the prospect of working with the Town to create a highly desirable senior housing option that responds to local need,” remarks Gittelman.